Surface electromyographic (sEMG) signal is used in the various fields of applications where the need exists to measure the activity of body muscles, such as brain-computer interfaces, game industry, medical engineering, and other practical spheres. Even more, the use of sEMG signal in the field of active prosthesis industry has become traditional for many years. However, despite the fact that the question of using it in the field of fingers prostheses is still open, in general, the sEMG signal required multichannel measuring devices or massive, voluminous equipment for precise recognition of hands or fingers movement. That is decreasing the possible portability and convenience of prostheses and as a consequence is increasing their final price. In this paper we propose a method of organizing the controlling and measuring unit of the prosthetic device based on artificial neural network (ANN) model and one-channel microcontroller based sEMG measuring system. The proposed ANN model works with only 4 input time-domain features of sEMG signal and provides an accuracy of 95.52% for classification of 6 different types of finger movements that makes it a good solution for next implementation in the system of prosthetic fingers or wrist devices. Russian Text © K. Vonsevych, M.F. 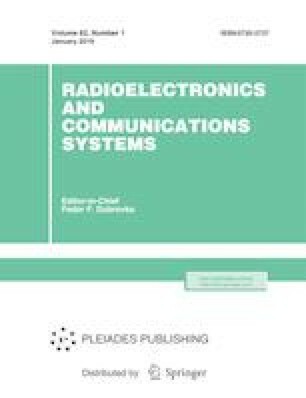 Goethel, J. Mrozowski, J. Awrejcewicz, M. Bezuglyi, 2019, published in Izvestiya Vysshikh Uchebnykh Zavedenii, Radioelektronika, 2019, Vol. 62, No. 1, pp. 30–44. The work has been supported by the National Science Centre of Poland under the grant OPUS 9 No. 2015/17/B/ST8/01700 for years 2016–2018. M. Zecca, S. Micera, M. C. Carrozza, P. Dario, “Control of multifunctional prosthetic hands by processing the electromyographic signal,” Crit. Rev. Biomed. Eng. 30, No. 4–6, 459 (2002). DOI: https://doi.org/10.1615/CritRevBiomedEng.v30.i456.80.